Sophomore defenseman Wyatt Kalynuk, who was a second-team All-Big Ten pick last season, will serve as the Wisconsin men’s hockey team’s captain next season. Kalynuk will lead the team, while sophomore forwards Tarek Baker and Sean Dhooghe will help as the team’s alternate captains. Kalynuk posted his second straight 25-point season this past year, and collected nine goals to rank second on the team. His 25 points were one point off the team lead, while his 116 shots made him the only skater with over 100 shots on goal. Baker (Verona, Wis.) finished his 2018-19 season with seven goals and 20 points, ranking second on the team with 91 shots on goal. Dhooghe (Aurora, Ill.) led the Badgers as the only double-digit goal scorer with 15 tallies. He shared the team lead with 26 points.. He also was tied for third in the Big Ten with eight power-play goals. The Wisconsin Badger men’s hockey team dominated No. 19 Penn State from start-to-finish on Saturday night at Pegula Ice Arena, knocking off the Nittany Lions, 7-3, to earn a weekend split in its final road series of the regular season. Looking to bounce back from Friday’s 8-2 loss, the Badgers got off to a quick start with first period goals from sophomore defenseman Josh Ess and freshman winger Jack Gorniak. The Badgers added three more goals in the second period, including a short-handed tally from sophomore Tarek Baker and a second goal from Ess. Penn State scored twice to make it a 5-2 game heading to the third period, but senior forwards Matthew Freytag and Seamus Malone notched the Badgers’ sixth and seventh goals of the night to seal a 7-3 victory over the Nittany Lions. Freshman goaltender Daniel Lebedeff made 38 saves in the win. 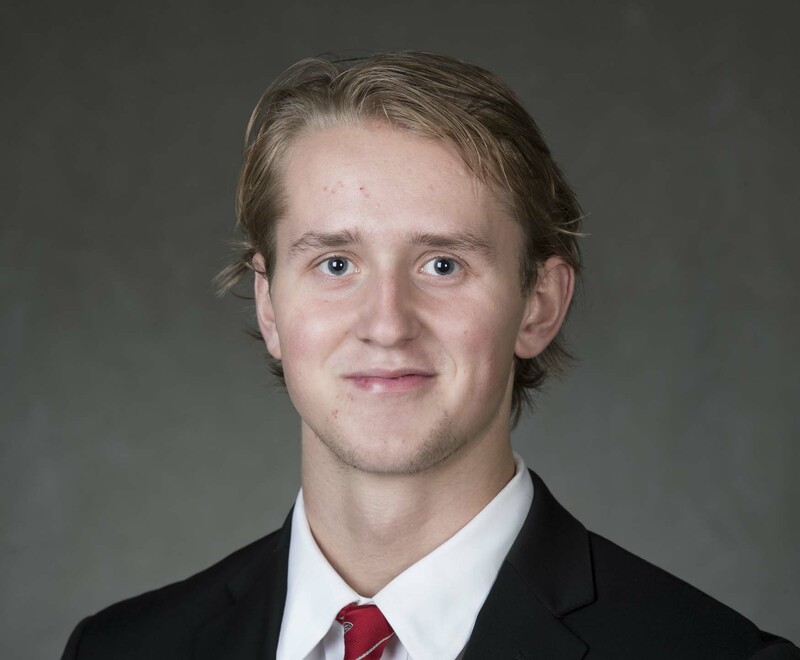 Sophomore forward Linus Weissbach broke a 4-4 tie 6:32 into the third period and the Wisconsin Badger men’s hockey team (2-0-0) knocked off 12th ranked Boston College (0-2-0) on Saturday night at the Kohl Center. The Badgers swept the Eagles after pulling out a 3-0 win on Friday night. The Badgers scored just 38-seconds into the game on a Sean Dhooghe tally, only to see Boston College tie the game at 1:20 of the first. The Badgers never trailed in the contest, going on to build a 4-1 lead at one point in the second period before the Eagles rebounded to the game. Sophomore defenseman Wyatt Kalynuk led the Badgers with two goals and an assist, while sophomore forward Tarek Baker had a goal and two helpers. Junior goaltender Jack Berry stopped 28 shots for the victory. Wisconsin will take its first road trip of the season on Friday at Clarkson and Saturday at St. Lawrence in upstate New York. 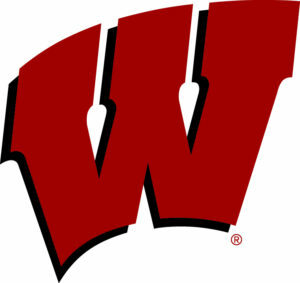 The 18th ranked Wisconsin men’s hockey team fell to number-one Notre Dame, 4-2 in South Bend on Friday night. The Irish scored three first period goals and led 3-1 after the first period. The Badgers (11-12-13, 5-8-2-0 Big Ten) crawled to within 3-2 early in the third before the Irish scored an empty-netter in the final minute, extending their win streak to 16-straight games. 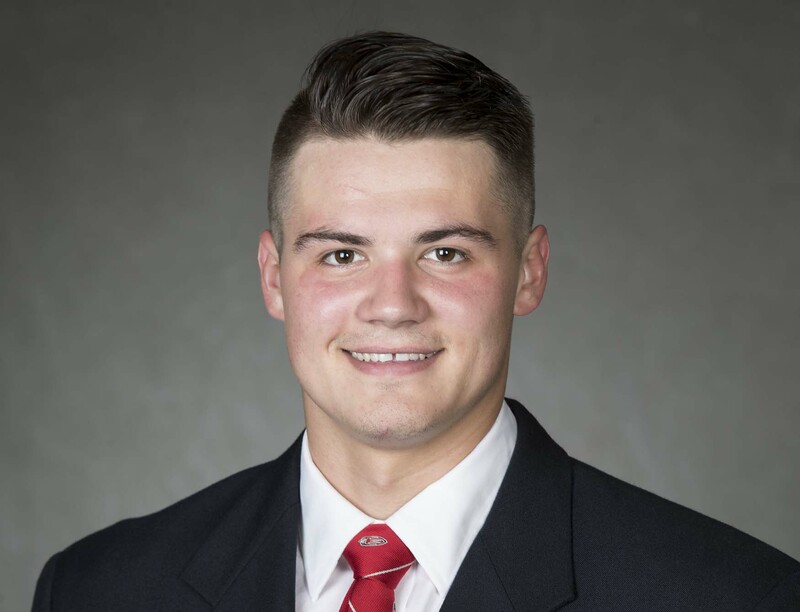 Trent Frederic and Tarek Baker scored their 10th goals each for the Badgers, who outshot Notre Dame (19-3-1, 13-0-0-0 Big Ten) 35-29 in the contest. Senior goaltender Kyle Hayton made 25 saves in the loss. The two teams wrap up the two-game series on Sunday afternoon (2 p.m.) at the United Center in Chicago. The game will be televised on the NBC Sports Network. The top ranked UW women needed overtime to knock off Bemidji State 4-3 on Friday night. Badger defenseman Mikaela Gardner scored two minutes into the overtime period to help the Badgers escape with their 24th win in 25 games. They’re 15-0 in the WCHA and wrap up the series this afternoon (3 p.m.). The number-15 Wisconsin men’s hockey team got the new year off to a slow start, falling 5-1 to number-14 Penn State on Friday night at Pegula Ice Arena. The Badgers (10-10-2, 4-6-1-0 Big Ten) allowed a power-play and short-handed goal in the loss. Penn State (12-7-2, 5-4-2 Big Ten) outshot the Badgers 32-26. The Nittany Lions took a 2-0 lead by the 9:00 mark of the first period, scoring one of its goals on the man advantage 1:36 into the game. Penn State, leading 2-0 after one period, scored 11 seconds into the second period and added a fourth goal before Wisconsin made a change in goal. Kyle Hayton came on in relief of sophomore Jack Berry. Hayton made 17 saves the rest of the way and didn’t allow a goal. Penn State would get its fifth goal into an empty net. Freshman forward Tarek Baker scored the Badgers’ only tally at the 11:54 mark of the final period. The two teams close out the series at 6 p.m. (CT) on Saturday night. The 12th ranked Wisconsin hockey team led 2-0 in the final period before falling to 4th ranked Notre Dame 3-2 in their series opener at the Kohl Center on Friday night. The Badgers (10-8-2, 4-4-1-0 Big Ten) outshot the Fighting Irish 36-32, but Notre Dame (15-3-1, 9-0-0-0) capitalized on the momentum from six Wisconsin penalty kills to extend their win streak to 12 games. The Badgers got goals from senior captain Cameron Hughes and freshman forward Tarek Baker. Notre Dame scored all three of their goals in the third period. 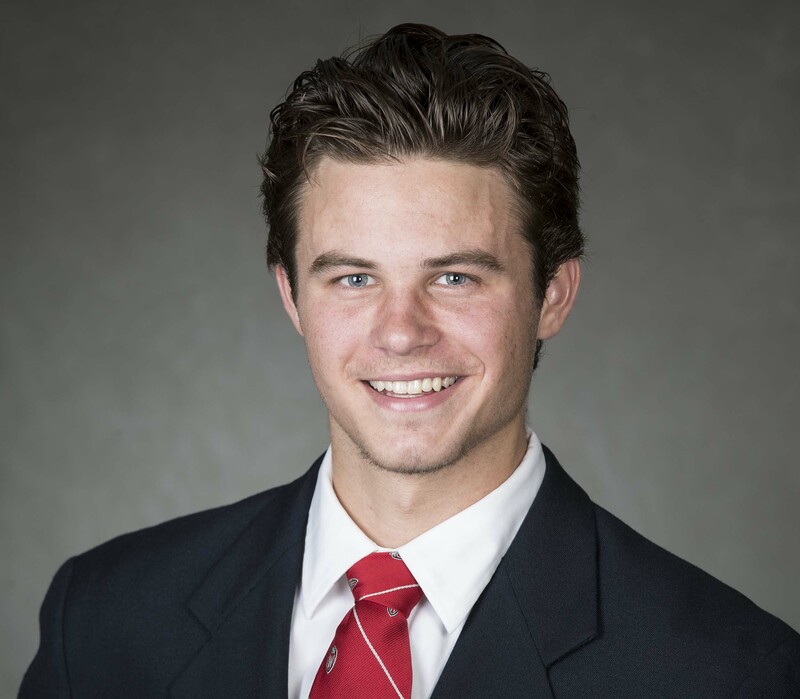 Sophomore goaltender Jack Berry had 29 saves in goal for the Badgers, who outblocked the Irish 23-12. The Badgers finished 1-for-3 on the power play. The two teams wrap up the series at the Kohl Center tonight (7 p.m.). Sam Cogan’s first-period goal held up in Wisconsin’s 1-0 win over St. Cloud State. Kristen Campbell finished with 16 saves for the Badgers, who improved to 20-1-0 overall and 12-0-0 in the WCHA. 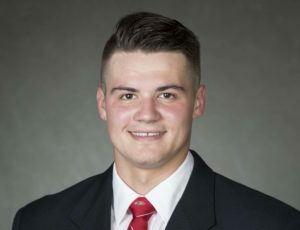 The Wisconsin men’s hockey team announced the signing of three student-athletes to National Letters of Intent on Thursday. They include defensemen Joshua Ess (Lakeville, Minnesota) and Wyatt Kalynuk (Virden, Manitoba), as well as forward Linus Weissbach (Bothenburg, Sweden). Ess, a 5’11, 185-pound defenseman, will arrive in Madison after his senior year at Lakeville south High School in Lakeville, Minnesota. He finished his senior year with eight goals and 28 points in 23 regular season games. He then scored three goals and five points in three sectional playoff games, before adding two goals and an assist in the state tournament, to finish with 13 goals and 36 points in 29 games.